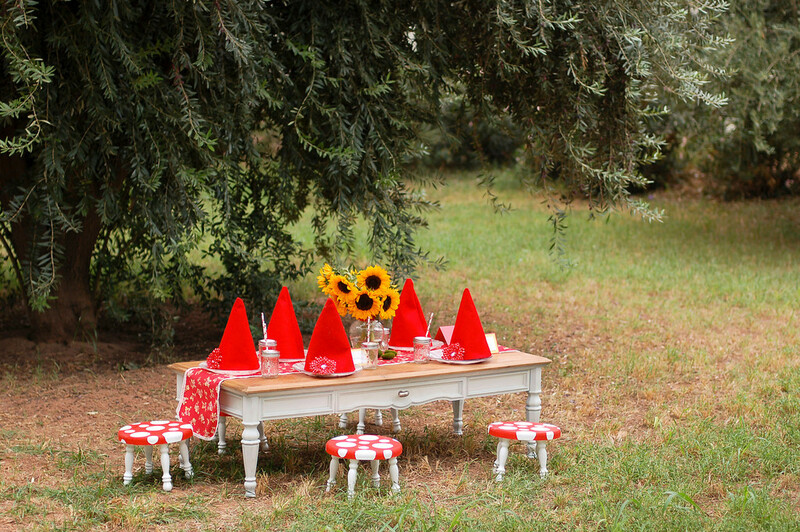 Are you looking for the Gnome birthday party? The blog has moved! This post is now available at Tikkido.com. And check out all the new content while you're there! Hey Nikki! You pulled off an absolutely AMAZING party! I'm so floored by the creativity down to the tiniest detail. The sippy cups were ingenious, the little oreo cakes were super cute, the bunting around the cake was such a great idea....on and on...so, so impressive! Thank you so much for the treasured kind words you wrote about my painted fondant toppers. It was neat to see how they looked at the party table! How unbelievably adorable! I had organized a Roaming Gnomes Pub Crawl for my friends last Friday as a way to get the old fogeys to come out for Halloween, and it was incredible how many people love gnomes and wanted to have their pictures taken with us. I had all the hats made the exact same way as you have in your tutorial, but for bigger noggins and one of my friends made foam and fabric mushrooms for us to carry. I wish I had seen this post earlier so I could incorporate some of these adorable accessories into our crawl too. I would have loved to bring along a couple of those red balloons. I love your ideas! I just self published an original fairy tale "The Berrylicious Secret" about gnomes and fairies, I want to have a "meet the author" children's party and make the 'Secret Recipe' "Raspberry Fizz " punch, this gives me wonderful ideas for treats and decor. I am making the gnome hats for my nephews who want to learn the secret recipe as only gnomes can make it we will need to wear gnome hats to cook the syrup recipe! Wow, how amazing! I am doing a "Woodland" theme for my son's 1st birthday in March. Did you make the gum paste gnome?! He is amazing! I would love details! This is adorable - I linked to it from my blog post about cute book-themed Halloween parties!